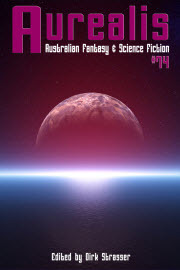 Aurealis #74 is now available, and includes my new story, Music for an Ivory Violin. In this issue we feature Imogen Cassidy’s ‘Soul Partner’, an urban fantasy gumshoe pastiche with some original touches, and Leife Shallcross’ creepy and engrossing ‘Music for an Ivory Violin’. Chris Large brings some thoughtful silliness with his ‘When a Jedi Should Think Twice About Bringing a Knife to a Gunfight’, and Stephen Higgins continues his SF’s Sacred Cows with Asimov’s Foundation.